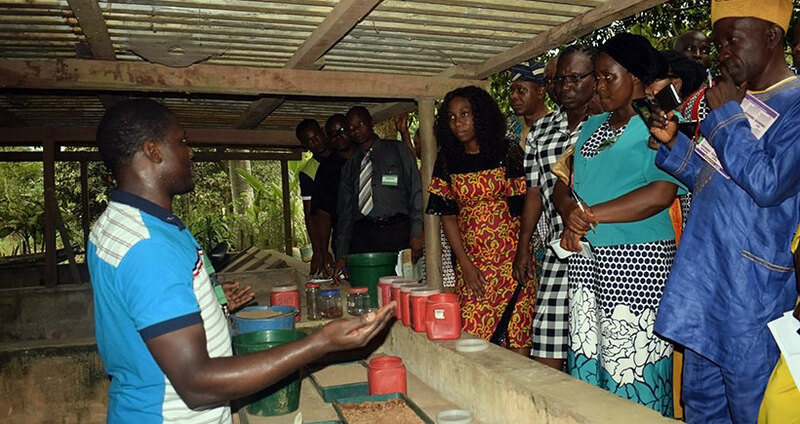 In an effort to train trainers, who are coordinators of various Schools Conservation Clubs (SCCs) in southwestern Nigeria, the IITA Forest Center (FC) organized a workshop at the IITA Headquarters in Ibadan on 8 February. Twenty-three SCC Coordinators from primary and secondary schools in Ekiti, Osun, and Oyo states, attended the workshop. In partnership with the Nigerian Conservation Foundation (NCF), the FC set up 43 SCCs in southwestern Nigeria with funding from the US Consulate General Lagos and AG. Leventis Foundation. Forest Center Plant Specialist demonstrates seed propagation techniques to participants. The event aimed to instill in coordinators environmental conservation activities, which they will pass on to students, who are future leaders and nature ambassadors. In her opening remarks, Hilde Koper-Limbourg, IITA Deputy Director General, Corporate Services, welcomed participants and highlighted the activities of IITA, including those relating to environmental protection. “Here in IITA, we are keen and devoted to raising awareness about biodiversity conservation as they assist in stabilizing different ecosystems. I am very happy to hear that 23 new schools have joined the FC’s conservation clubs. It is a great honor to have you here at IITA and I am pleased to see that you all are interested in environmental education,” she said. Speaking on the need for protecting biodiversity, FC Manager Adewale Awoyemi explained, “Biodiversity conservation is basically the protection, enhancement, and scientific management of the varieties of life on earth. “In recent years, the rate of loss of biodiversity is worrisome. This is happening as a result of habitat loss, excessive exploitation of resources, climate change, pollution, and poaching. We need to synergize efforts as a team to preserve the full range of Nigerian’s biodiversity, so that the environment can be habitable and conducive for all.” NCF Technical Partner, Anuoluwapo Akinola, also explained the nitty gritty of setting up SCCs and engaging students in conservation related activities. The training created awareness and provided an opportunity for participants to gain first-hand experience in upcycling, nursery tendering operations, gardening, vegetable production, and bird watching. “I am happy we are extending our tentacles. By so doing, younger generations will be reached, thereby guaranteeing a continuous conservation of our ecosystem,” Awoyemi added. 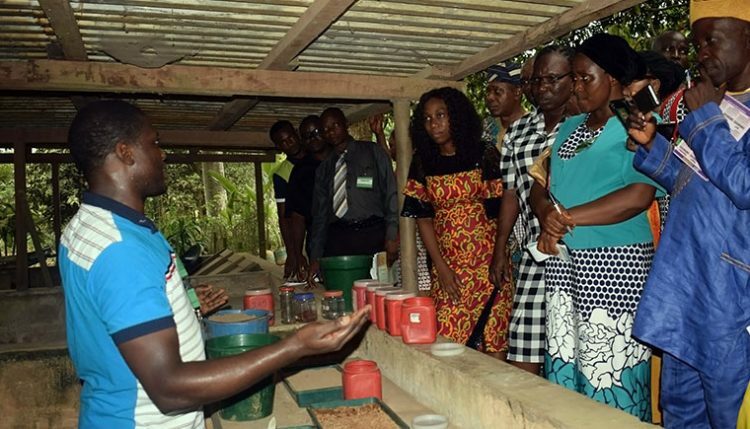 Commending IITA for its conservation initiatives, the Representative of US Consulate General in Lagos, Aikulola Idowu, stated that even though the training was not specifically meant for her, it was a revelation. She said, “From the knowledge we gained from this training today, I believe there is hope for a better tomorrow in Nigeria in the area of biodiversity conservation. Indeed, I am really impressed!” She later joined Koper-Limbourg to present certificates of attendance and appreciation to participants.